Please join me in congratulating M.K. 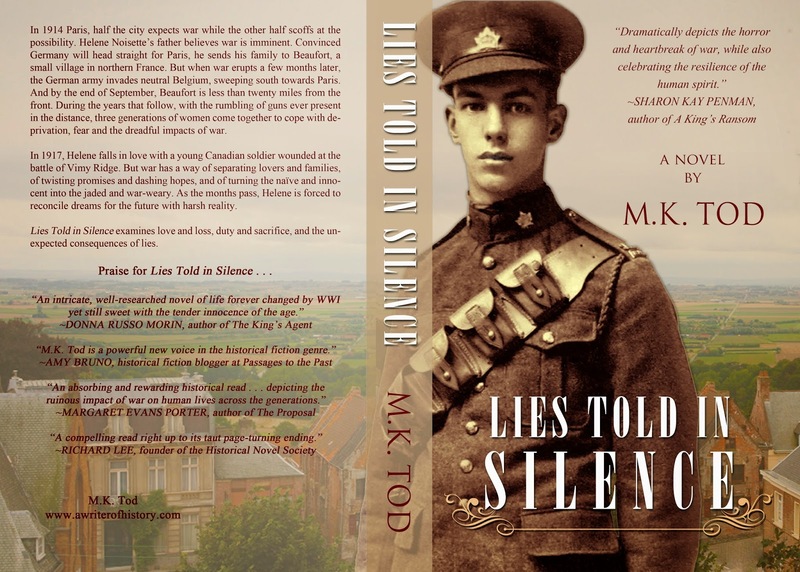 Tod on the publication of her second historical fiction novel, Lies Told in Silence, a companion to her first novel, Unravelled. I had the pleasure of working with Mary on a developmental edit and a copyedit, and I designed the cover! This cover has special meaning for Mary, by the way, that's her grandfather on the cover--wasn't he a handsome young thing? 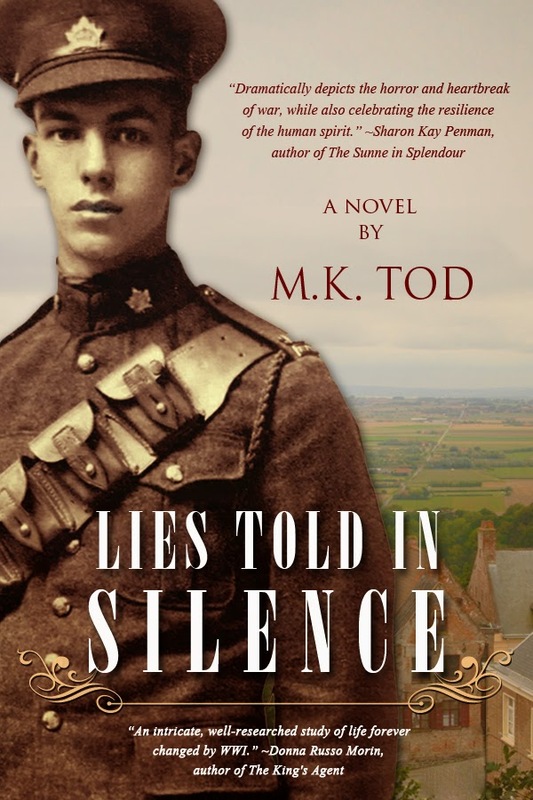 You don't need to read Unravelled first to appreciate Lies Told in Silence, though I recommend it if you can to fully appreciate these two connected stories that span two world wars, two continents, and examine the consequences of love and loss during the time of war. In May 1914, Helene Noisette’s father believes war is imminent. Convinced Germany will head straight for Paris, he sends his wife, daughter, mother and younger son to Beaufort, a small village in northern France. But when war erupts two months later, the German army invades neutral Belgium, sweeping south towards Paris. And by the end of September, Beaufort is less than twenty miles from the front. During the years that follow, with the rumbling of guns ever present in the distance, three generations of women come together to cope with deprivation, fear and the dreadful impacts of war. Lies Told in Silence is on sale now in ebook and print formats on Amazon and Barnes & Noble! If you get a chance, stop by Mary's website and say hello! She posts lots of great articles on researching and writing, and every year she compiles an awesome historical fiction survey. Add the book to your Goodreads shelves, and check out the blog tour going on right now with Historical Fiction Virtual Book Tours--lots of reviews, interviews, and chances to win the book! I just saw this on Goodreads today, and immediately added it to my TBR. I can't wait to read it.